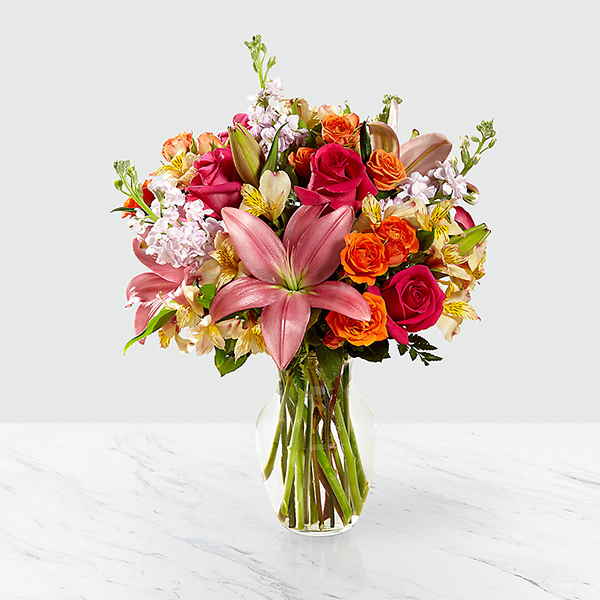 The Into the Woods™ Bouquet displays a rustic, cozy appeal with it’s unique blend of blooms, making this a flower bouquet your special recipient won’t soon forget! 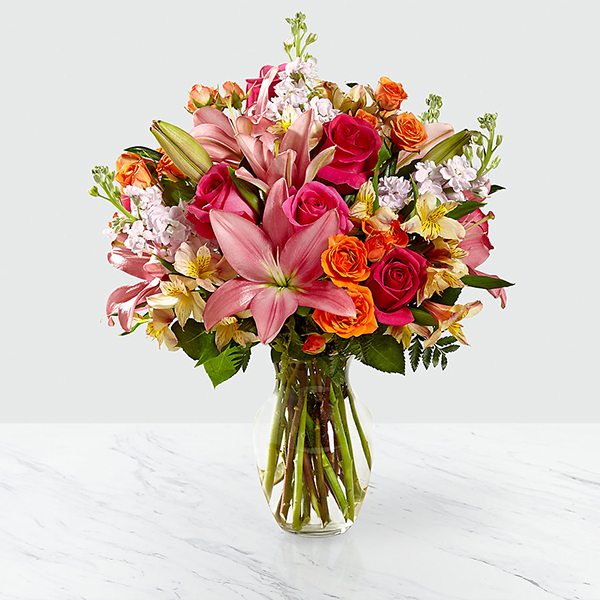 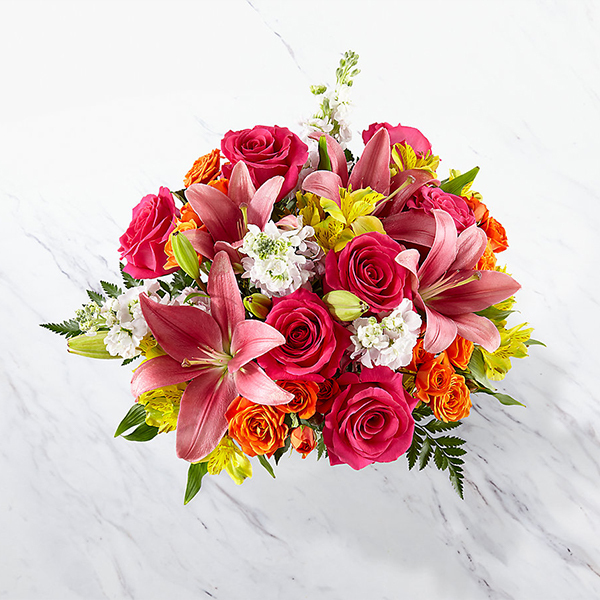 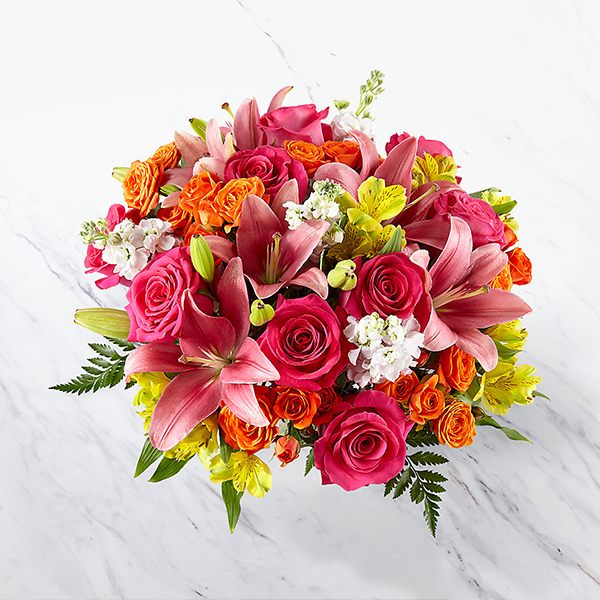 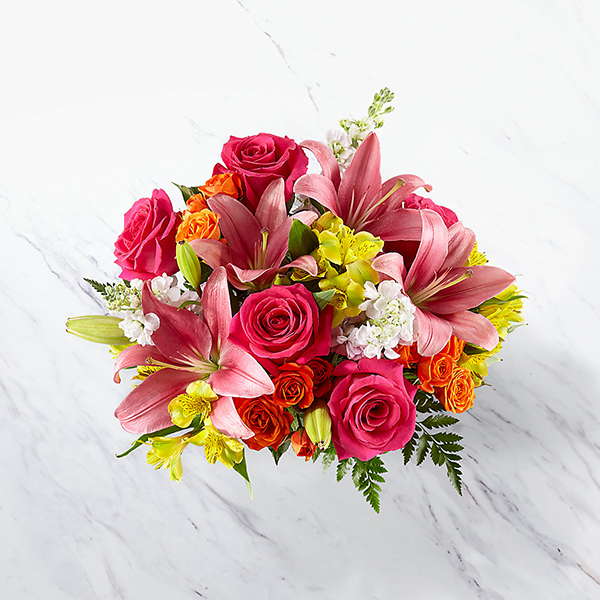 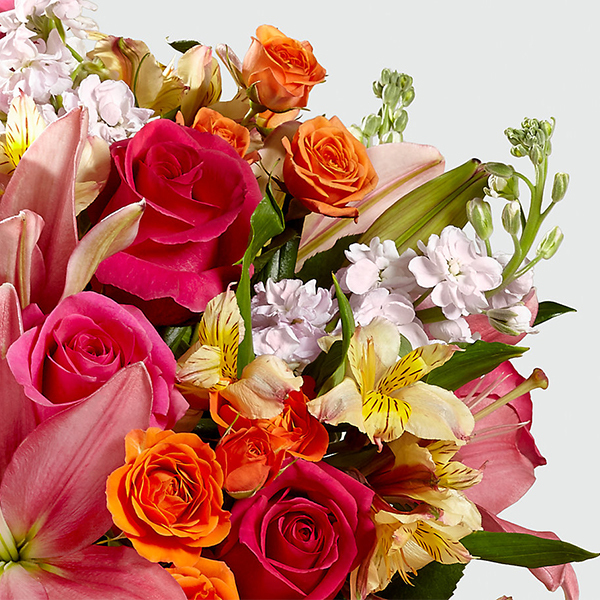 Hot pink roses, orange spray roses, pink gilly flower, and pink Asiatic Lilies have a wonderfully warm and inviting look when arranged amongst yellow alstroemerias and lush greens. 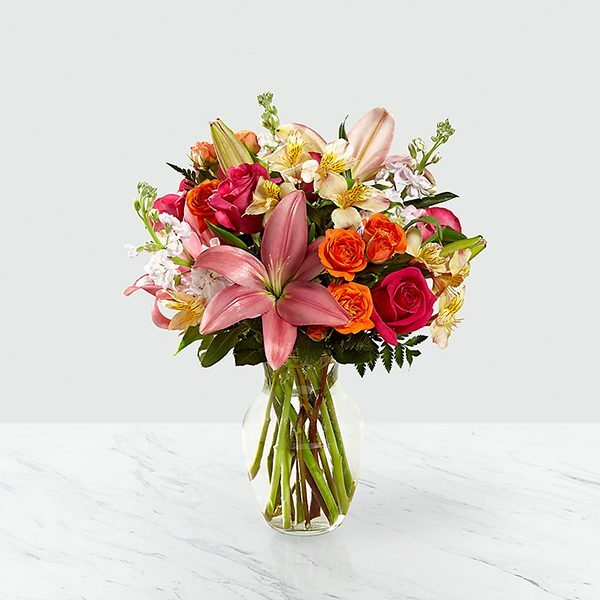 Presented in a clear glass vase, this gorgeous fresh flower arrangement is set to create an impressive thinking of you, thank you, or happy birthday gift.